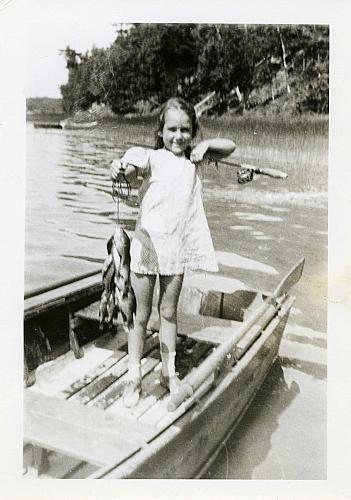 A young girl stands in a rowboat with oars at the side and holds a string of lake fish, probably blue gills and perch, while holding a fishing rod over her shoulder. She wears a straight dress with short puffed sleeves and socks with laced shoes that might be saddle shoes. Photograph 4 X 3 in.